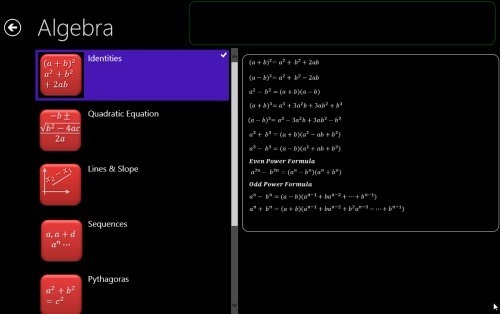 Mathematic Formulas is a free Windows 8 app that brings you a list of formulas for Algebra, Calculus, Geometry, Trigonometry, and Statistics. As you open the app, you will find 5 different categories and you need to click on one to open the formulas listed in it. For example: Algebra consists of Identities, Quadratic Equation, Lines & Slope, Sequences, Pythagoras, Logarithms, and Matrix. Similarly, other categories also contain all the related formulas. The app has been designed especially for students and teachers who want to get all the mathematic formulas at one place Go ahead and download Mathematic Formulas app in Windows 8 now. Mathematics Formulae is another app that contains a collection of all the important formulas. There are 5 different categories: Real Numbers, Quadratic Equations, Probability, Polynomials, and Trigonometry. The interesting thing is that as you click on a category, you will not only find the formula but also the basic explanation of that topic. Hence, if the topic is new for you, then it wont be a problem to understand. It’s a must have app for students. Go ahead and download Mathematics Formulae app in Windows 8 now. Also, check out our posts on Spelling Apps, Rhymes Apps, and Language Translation Apps. MathsPrep is an easy-to-use Windows 8 mathematic formula app that brings you a large collection of important formulas related to various topics such as Numbers & Algebra, Percentage, Progression, Ratio & Proportion, Average, and Geometry. 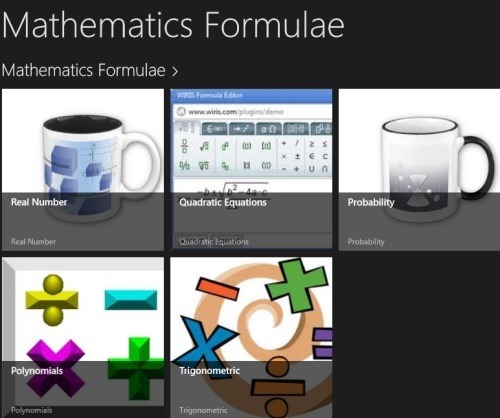 Let me quickly point out the features of this mathematic formula Windows 8 app below. Brings you a list of all the important formulas in 6 different categories. Each category has been sub-divided into various other. Well.. its highly advantageous for students who are preparing for competitive exams such as GMAT, GRE, SAT, and more. 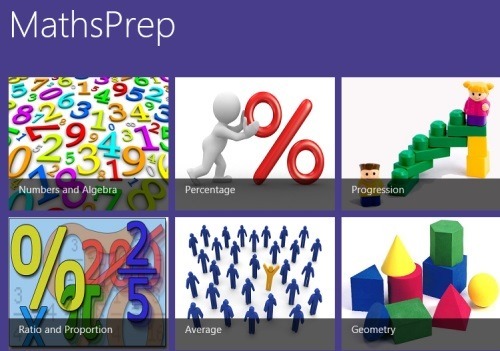 Go ahead and download MathsPrep app in Windows 8 now.